The brand new mixtape Rare Chandeliers from New York spitter Action Bronson and producer The Alchemist is finally here. A few days ago the amazing cover art was released in anticipation of this new tape, which was only a glimpse of the insanity that would ensue on this. 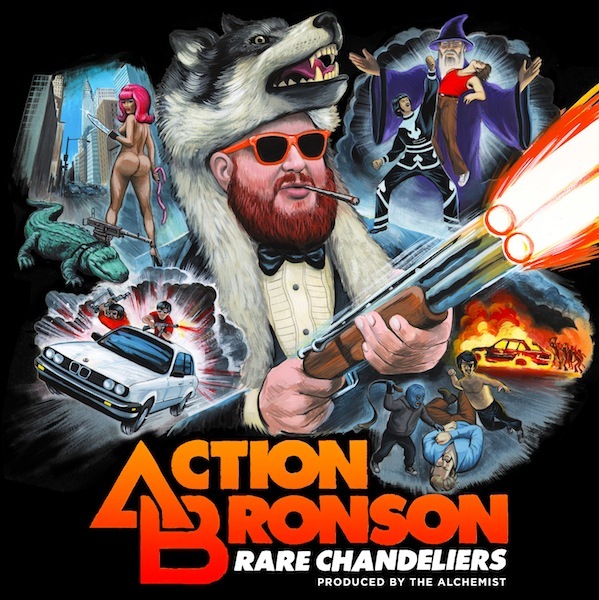 As with any work from Action Bronson, expect there to be some ridiculously clever rhymes and buttery smooth flows. You can stream the entire tape below and get a free download via Vice right here.